Delicious Braised Beef Cheeks Recipe - Sticky & Tender - Easy to Make ! These tender and sticky Braised Beef Cheeks are ideal for dinner. The slow cooker recipe is super simple with perfect results every time! These slow-cooked beef cheeks are the perfect balance of sweet and salty, with an intense orange aroma. Just like other braised meat dishes, these beef cheeks taste even better the following day once the meat has rested and soaked up all the flavours of the sauce. That’s some impressive leftovers to take to work! This beef cheek recipe makes 4 servings. 1 serving is 1 beef cheek. Using a vegetable peeler, peel thick strips of the zest from the orange. Add to your slow cooker. Add the remaining ingredients, except the beef cheeks, to the slow cooker. Stir until the sugar has dissolved. Add the beef cheeks and mix into the sauce. 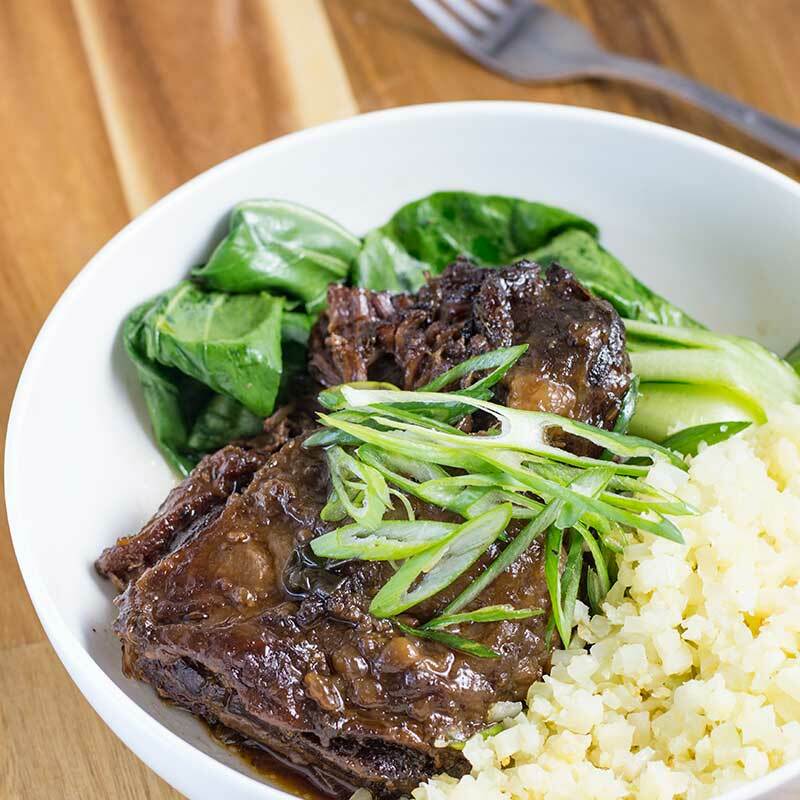 Serve the beef cheeks with a little cooking broth and a side of rice and sauteed bok choy. These tender and sticky Chinese Braised Beef Cheeks are ideal for dinner. The slow cooker recipe is super simple with perfect results every time! 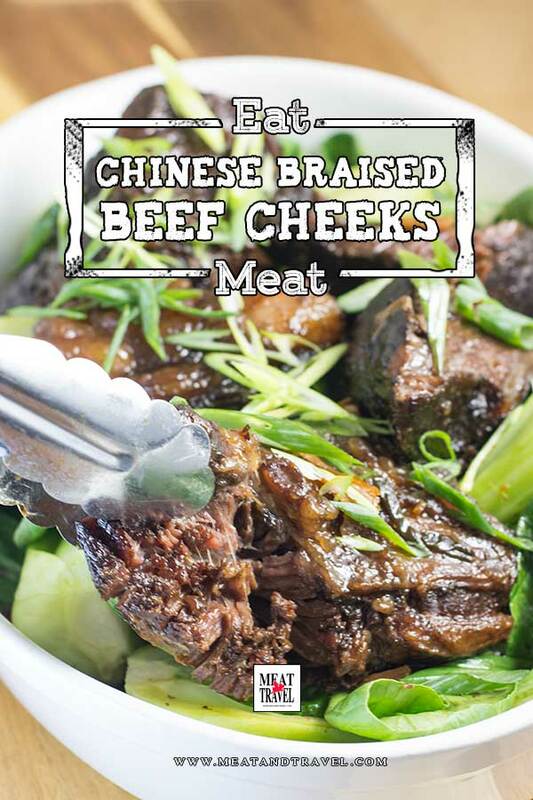 To make a larger batch of Chinese Braised Beef Cheeks adjust the servings above.